Our good friends in Miami indie/electro-pop band The Hongs just released a double sided single featuring two new tracks. The a side is "The Sounds" and the b side is "Ms Understandings". Digging them both, but particularly loving the a side "The Sounds". Such an amazing track! Possibly their best yet, and they have some incredible songs in their repertoire. These guys consistently put out great music and amazing live shows. They never cease to amaze me when I catch them. It's a wonder they are not a huge national act by now. Soon enough I am sure. Speaking of live performances, The Hongs are set for a busy weekend starting Tonight (10/9) when they will be playing at the beautiful historic renovated venue Ball & Chain. 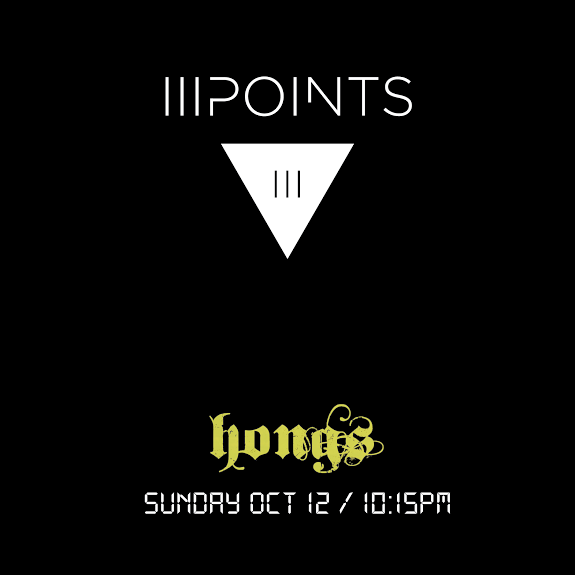 Then Friday (10/10) at Kill Your Idol on South Beach, and finally Sunday (10/12) as part of the III Points Festival at 10:15PM. I recommend you catch them at any or all of these events if you are in the South Florida area. You will not be disappointed. P.S. Smurphio from Afrobeta and Aaron Johnston from Brazilian Girls who are part of the band will be in town and performing with them for all the shows this weekend! Extra psyched points!